Eleven new cases of children with measles have been confirmed in Brooklyn — bringing the total to 17, city health officials announced Friday. The New York City Health Department reports that the recent cases — which involves children from 7 months to 4 years — are in Williamsburg and Borough Park. Six children in Brooklyn have been diagnosed with measles after one of them apparently returned from Israel with the highly contagious disease and exposed others to it, city health officials say. Three infections, including the initial case of measles, were acquired by children on a visit to Israel, where a large outbreak of the disease is occurring. 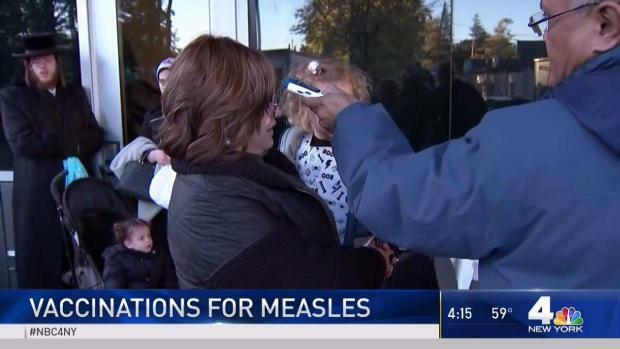 In Rockland County more than 300 people showed up to get vaccinated for measles at a clinic after a total of 17 cases of the disease were confirmed in Brooklyn and Rockland County. Tracie Strahan reports. Further transmission of the disease has taken place in schools with children who are unvaccinated or incompletely vaccinated, officials note. While there are no deaths associated with this cluster, there have been complications including hospitalization. Complications from the disease put one child in the hospital with pneumonia, and another with an ear infection, health officials say. 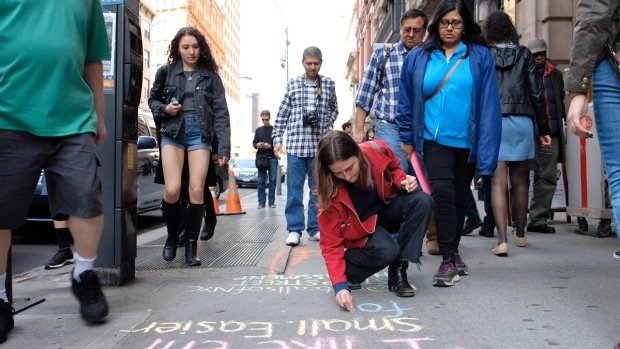 To increase awareness about measles, the city’s Health Department is sending notifications to schools, providers and hospitals with large Orthodox Jewish populations. Health officials are also conducting community outreach in the affected communities, placing ads in local newspapers and distributing posters to health care provider. Since the outbreak, there has been an increase in vaccination rates in the Orthodox Jewish community, health officials say, noting that more children should receive the MMR vaccine to stop measles transmission. Dozens of other New York state residents in Rockland County have been diagnosed with measles, with some of the afflicted picking it up during travel to Israel, and others being infected after being exposed to a person with measles. 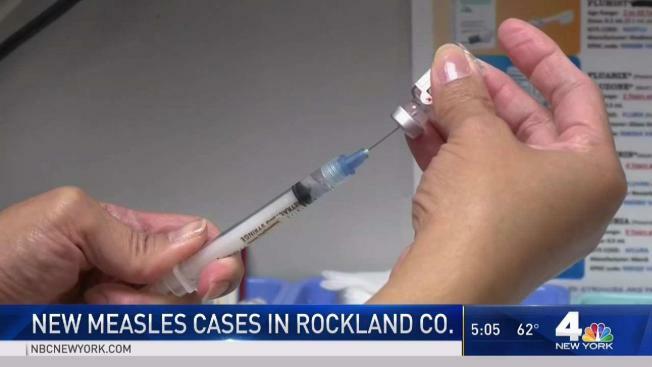 Rockland County has been grappling with a measles outbreak in recent weeks — even asking students who are unvaccinated to not attend school. Children who develop a fever and rash should be kept home from school or day care while they seek doctor's treatment. Health officials say it's important to make sure the entire family is vaccinated before traveling overseas. In addition to the large outbreak currently going on in ultra-Orthodox Jewish communities in Israel, there are large outbreaks in Europe; in the first six months of 2018, over 41,000 cases of measles and 37 deaths have been reported. Countries most affected include Serbia, Ukraine, Georgia, Greece, Romania, Italy, France, Slovakia, Russia and the United Kingdom, although all countries in Europe have reported cases. There are also outbreaks in many other parts of the world, including countries in Asia, South America and Africa. For more information, visit nyc.gov/health and search "measles."